The blackberry (Rubus fruticosus) is a fruit bearing shrub which grows spontaneously, regardless of the landscape. Due to its tasty fruits, this was amended and it started being planted everywhere. 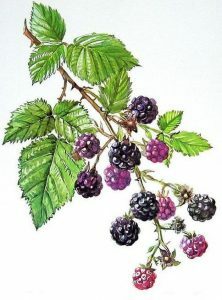 The blackberry grows as a shrub with vertical or creeping branches, covered by thorns. The tasty leaves can be consumed either fresh or prepared (jams, syrups, etc.). Thanks to its complex mineral substances content, the blackberries are recommended in the diets of people suffering from anemia, diarrhea, lung infections, liver infections or gallbladder infections. The root system is strong and well developed. For the creeping plants, the roots will grow into the soil at a 1.5 m depth. The sprouts that grow on the plant’s roots will help in rejuvenating the aerial parts of the plant and allow the plant’s multiplication by cuttings. The branches are edgy, rounded towards their base and covered by thorns. The leaves have a long petiole, covered by thorns, the limb is pinnate. The flowers are hermaphrodites, with a white to pink color. The fruit is a shiny black drupetum, which can be harvested with its torus once it has reached maturity. The air temperature represents one of the restrictive factors for the blackberry crop, both during the vegetation phases, and during the rest period. The species which don’t have thorns can withstand temperatures as low as -15 degrees Celsius, and the ones without thorns can withstand temperatures as low as -20 degrees Celsius. During its vegetation period, the blackberry doesn’t stand the heat, temperatures exceeding 34 degrees Celsius will decrease the quality of the fruits. The blackberry has high temperature requirements. For a proper growth and development, the plant needs a lot of light (a minimum of 13 hours per day). Due to its well-developed root system, the blackberry can well withstand dry periods of time, although the best results can be obtained in areas where in rains around 700 mm/year. The excess humidity from inside the soil will make to roots choke. The blackberry plant is also sensitive to air currents. These will increase the shrub’s sensitivity towards frostbites and it will decrease their quality while maturing. This is why protection curtains must be installed around the shrubs. The best soils for cultivating the blackberry are the deep soils, he ones that are well-aired and have a clay texture. The best results can be obtained on soils where grain cereals, corn, cabbage, blackcurrants, gooseberries were previously planted. The blackberry must not be planted after potatoes, tomatoes, eggplants, due to the common diseases these crops have. If around the parcels there are spontaneous blackberry shrubs, these need to be taken out. The soil must be prepared during autumn. After the predecessor crop has been harvested, the vegetal residues need to be gathered and destroyed. The soil must not be touched for 1-2 weeks, to allow the weeds to grow, and then the following herbicides can be applied: Roundup Classic, Roundup Energy. A week after the herbicides have been applied, base fertilizers need to be applied, using around 30-40 tons of well decomposed organic compost and 400-500 kg of complex NPK fertilizer. After fertilizing it, the soil needs to be ploughed at a 40-50-cm depth. If this is something you cannot do, then plough the soil at a 30-cm depth, using the hoe, cultivator, or whichever tool you have at hand. The planting stage needs to be carried out during spring, once the frostbite danger has passed. The most common way of starting the blackberry crop is by using cuttings. These will have to be bought from certified nurseries, or authorized research laboratories. Before planting, the cuttings must have their roots taken care of. The wounded roots must be taken out, the root system must be reduced to a 15-cm length. 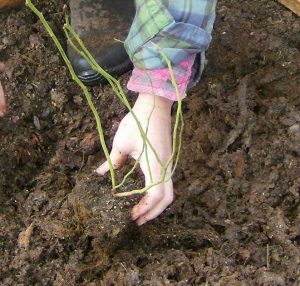 To favor the shrub’s rooting capacity, the roots must be put into a mixture of yellow soil, cattle organic compost and water. After the planting material has been prepared, the next step would be to prepare the holes. These must be dug 2-3 days before and they must have the following dimensions: 40 x 40 x 40 cm. For a precise planting, the parcel must be marked. This is when the planting spots of the shrubs will be marked by inserting a stake into the soil. We recommend the following planting scheme: 2-2.5 m distance between the rows and 1.5-2 m distance between the plants on each row. The planting depth must be 30-cm. 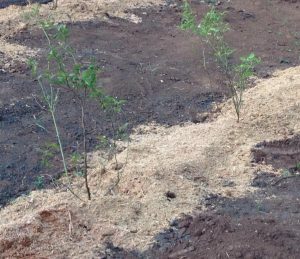 At the bottom of the holes put a mixture of 50% fertile soil (taken out from the surface of the soil) + 50% well decomposed organic compost. The roots must be well spread when placed on the layer from the bottom of the holes and they must be covered using soil. After planting, the soil surrounding the cuttings must be pressed. Make an anthill, 10-12-cm tall, around the freshly planted shrubs. After this, the shrub must be shortened to a height of 20-25-cm. Supporting the blackberry crop is an essential step in this shrub’s crop technology. The best supporting system is an espalier structure and wires. The espaliers must be placed at a 8-m distance between themselves and a 60-cm depth. Wires must be attached to the espaliers, which will support the shrubs. A stake can also be used for supporting the plants as the branches of the shrubs can ties to the stakes. The blackberry shrub will have a lot of vegetative growths. This is harmful for the shrubs as it crowds the plant, favoring diseases and pests. This is why the shrub’s vegetative growths must be controlled by using cuts. Right after planting, the blackberry must be shortened at a 20-25-cm height. Pick 3-4 vigorous stems during the second year as these will form the shrub’s foliage. The chosen stems must be shortened and left at a 130-cm height. All the other growth must be taken out from the soil up. During the third year, pick 6-8 well developed stems and shorten them at a 160-cm length. Shorten the sprouts which grew the previous year to 20-25-cm. Take out all other stems, including the ones which formed fruits. Only by cutting the shrub, its foliage will be formed. The cuts from the following years must air the shrub and help the fruit bearing stems. This can be done by taking out the branches which have already grown fruit and replacing them with 6-8 vigorous and healthy branches, which need to be shortened to a 150-160-cm length. All other vegetative growths need to be taken out from the soil up. All these cuts need to be applied during spring, even the cuts for the stems which have already given fruit. A large number of stems will form a micro-climate during winter, which alleviates the negative effects of the frosty weather. If these cuts are applied during spring (March – April), it will ease the process of picking the healthy branches. In order to reach its full fruition capacity, the blackberry needs irrigations and additional fertilizing. In areas where the needed water intake is not provided by rainfalls (a minimum of 700 mm per year), the crop need to be watered 4-5 times, using 300-400 cubic meters of water per hectare. Do not water this crop after the 25th of August 2018 to allow the branches to mature. The first fertilizing process needs to be carried out 2 years after planting, using 40 tons of organic compost per hectare and 400-500 kg of complex NPK fertilizers. After this, the crop needs to be annually fertilized and the applied dosage need to be reduced to half. The fertilizers are better absorbed if applied during autumn. Leaf fertilizers can also be applied, using Terra-Sorb, Amalgerol, Cropmax, Raykat Engorde, Florone. Keeping the shrubs healthy is important for the blackberry’s crop technology. The shrub can be affected by diseases which can compromise the production and, if the attacks are severe, it can destroy the entire plantation. 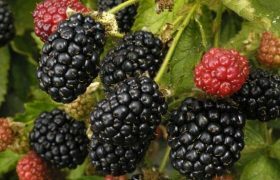 For more information about the diseases and pests which affect the blackberry crop, as well as the proper prevention means, please click here. The blackberry plant doesn’t like competing plants. This is why no plants must be sowed on the distance between the rows. Plough those areas 2-3 times to keep the soil clean. 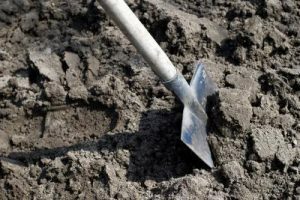 During autumn, the soil need to be ploughed at a 10-cm depth, during the vegetation period this need to be superficially done, at a 5-6-cm depth. If the soil is heavily infected by weeds, herbicides can be applied. Products to be used: Pantera, Leopard, Fusilade, Centurion. Keep in mind that no herbicides need to be used during the first 2 vegetation years. To avoid water evaporation and the prevent weeds from growing, the soil can be covered using hay-based organic compost or a polyethylene foil. The fruits are reaching maturity differently, on a period of 20-30 days. This is why the blackberry must be harvested in more steps, once every 3-4 days. The fruits need to be harvested during morning (right after the morning dew has evaporated), or during evening. The fruits need to be detached from the plant along their receptacles, without pressuring the fruits. After harvesting, the fruits need to be carefully handled, as they are sensitive to mechanic shocks. The blackberries have a high perishability. The fruits cannot be stored more than a few days, during normal storing conditions.